"Edgar Allan Poe's demonic tale of The Ungodly... The Evil House of Usher"
A young man and his wife travel to her family mansion. When Philip and Madeline arrive at the Usher mansion, her brother Roderick tell Philip of an old family curse. Any time that there has been more than one Usher child, they went insane and died horrible deaths. Roderick and Madeline come down with bizarre illnesses and afflictions as the Usher family curse moves forward. Based on an Edgar Allen Poe story. 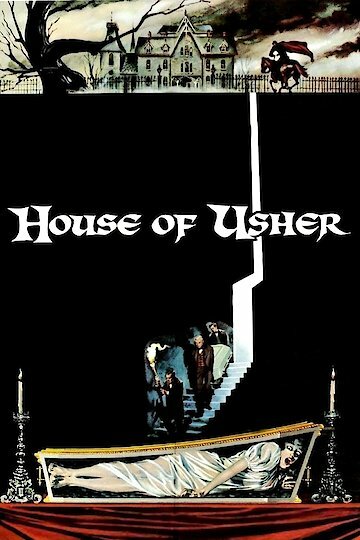 House of Usher is currently available to watch and stream, buy on demand at Amazon, FandangoNow, iTunes online.